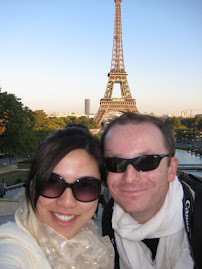 This December 2015 marks our 9th year living in Kuala Lumpur. We proudly call it our home and we have had so many beautiful memories and wonderful stories of our stay. We still call it our home and we hope to have many more wonderful years in this warm, friendly country. Things have been smooth-sailing for many years. However we can see the winds of change blowing strongly. The past few months have been turbulent, mainly with the government issues and scandals, currency devaluation and GST implementations in 2015. And one eye-opening shocker for a housewife-mother-of-two (yes, that is my official title when I'm not at the office), happened on November 15 , 2015 Sunday. I jumped down for a quick grocery trip to One Mont Kiara Mall, my usual place, to quickly grab packets of cheese and got a shock of how prices have sky-rocketed! 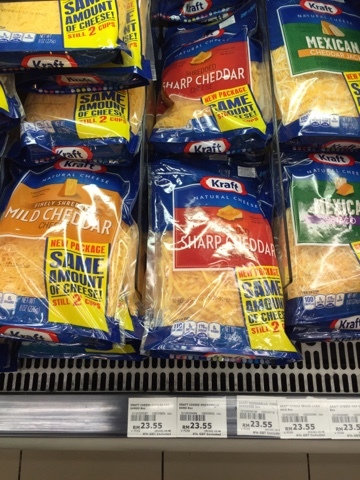 I always bought Kraft cheese (shredded) for the kids -- easy to mix with pasta and other cheese-related dishes. I remember clearly how it used to be rm14 per packet not so long ago. Then jumped to rm17-ish for some time. Today, when I saw the whopping rm23.55 per packet I was really awakened to the fact that cost of living has indeed gone so high up. Add to that fact, the toll fees have gone up, electricity also has gone up. Housing loan interest rates are going up. I hope that some stability will happen soon. Praying. Hoping. Waiting. Meantime... I grabbed another cheese brand and left KRAFT alone for today. The price is just heart-stopping. Perhaps I need some time to digest the fact that the prices are here to stay due to all the issues ongoing. RM23.55 now for a packet of shredded cheese. Not so long ago it was around RM14-17 price range.